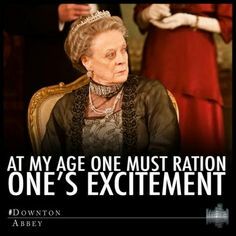 Violet Crawley says, "At my age, one must ration one's excitement." But we can't seem to ration ours. We can't wait to see The Grand America transform into Downton Abbey for an elegant evening. Guests will be dined and wined courtesy of Alt and La Crema while surrounded by fresh flowers, lavish linens, and proper everything. This party happens on Thursday night, after the first full day of conferencing. It's the perfect time to wind down with the new friends you've made. What to wear? Dress code is a Modern Twist on the Twenties. Skip the costumes, but scour your closet for lace, fringe, or velvet details. And check out this post for lots of inspiration - we love how it mixes images from the show with up-to-date pieces. Upscale, stylish and totally elegant, we're already looking forward to your Downton-inspired ensembles. Need more ideas? Visit our Downton Abbey - Opening Night Party board on Pinterest. JoAnn Fabric and Craft really knows how to party! They are the sponsors of six fun rooms designed by some insanely creative Alt friends. Get ready for Pop Alt. A room filled with black, white, and pops of color. With photo props, painted nails, and lots of laughs provided by Audrey Wagner King, Izzy Hudgins, Troy Williams, and Jess Becker, this room is going to have big impact. Band Together celebrates that moment when you realize there is a team of people just like you who have gathered in SLC to cheer each other on. This room will get your heart pumping and your feet thumping. Hosted by Jacinda Boneau, Jamie Morrison Curtis, and Colleen Zarate of Pretty Prudent. Come relax in the Bubble Bath Bash with Jessica Angel, Mandy Pellegrin, and Nichole Rocero. Sit down with a dessert in one hand and a craft in the other, while soaking up the time with new friends and great connections. Live In Colour will revel in subtle, muted colors and inspirational artwork, while showcasing creativity. Jump into the colorful waters with hosts Megan Bailey, JaNee Arhets, and Becky Kimball of Sweet Little Peanut and create your own masterpiece. Dance the night away while enjoying the juxtaposition of plaid, disco balls, and florals at the Flannel Disco. Lauren Wells, Beck Hansen, and Krissy Price are ready to motivate your groovy side, tempt your photogenic side, and above all else tear up the dance floor. Cactus Makes Perfect will be decked with bright colored cacti, fun tattoos, and a collaboration wall to make connections stick. Join hosts Andrea Ament, Kim Wardell, and Charity D-Amato for an evening filled with cactus fun. TinyPrints has Gone Glamping. And who doesn't love glamping? In this room you'll find the rustic feeling of the great outdoors, accented with liberal touches of glamour. Let's get cozy and enjoy the luxe night! Lindt Chocolates is partnering with Jordan Ferney of Oh Happy Day to create a chocolate wonderland called Truffles, Truffles Everywhere, that you'll want to call home. Pour a drink, grab a sweet and have some fun. Are you getting as excited as we are about all this partying?